Baton Rouge, LA – April 3, 2012 – Commuters in the city of Kelowna, BC, will have more eye-catching ads to look at on buses for the next three years, thanks to a new advertising contract renewal. 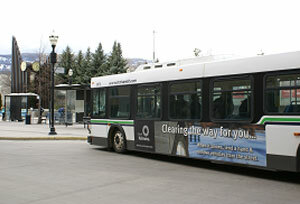 Lamar Advertising Company (Nasdaq: LAMR) renewed their transit advertising agreement with Kelowna Regional Transit for an additional three year term through December 31, 2014. “Kelowna is Canada’s third fastest growing city, and we are pleased to continue our relationship with The City of Kelowna,” said Darren Peck, Sales Manager of Lamar Transit Advertising. Kelowna Regional Transit’s inventory consists of 70 buses, including seven Double Decker buses, serving 170,000 residents within the City of Kelowna, West Kelowna and Lake Country. 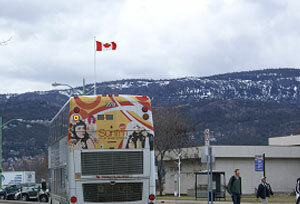 The buses circulate more than 4.6 million kilometers annually in the hub of Canada’s Okanagan Valley. Lamar Transit Advertising connects advertising agencies and direct clients to the transit advertising medium, displaying advertisers’ messages on the interiors and exteriors of Kelowna buses. Lamar Advertising Company (Nasdaq: LAMR), a leading owner and operator of outdoor advertising and logo sign displays, announced that the previously announced tender offer by its wholly owned subsidiary Lamar Media Corp.
Lamar Advertising Company (Nasdaq: LAMR), a leading owner and operator of outdoor advertising and logo sign displays, announces the Company’s operating results for the fourth quarter ended December 31, 2011.